There are 17 bulletins mentioned, almost all are critical and flagged as “requires restart” or “may requires restart”. Microsoft will release an updated version of the Microsoft Windows Malicious Software Removal Tool on Windows Update, Microsoft Update, Windows Server Update Services, and the Download Center. This Article Has Been Shared 7753 Times! Microsoft research unit is working on a non Windows operating system named Verve. Verve has a simple mantra: every assembly language instruction in the software stack must be mechanically verified for safety. Fantastic Windows 7 Tutorials too. Great set of Windows 7 updates from Microsoft. I think I have installed the December updates. Great website.Excellent tutorials. A great set of Windows 7 updates. I agree, it is probably biggest security update Windows 7 ever got. We was not aware! We just saw a rush of genuine comments and spams. Now understood the reason! Thank you for the news and your kind comment. I have no word to say thank you. Please add emotions in the comment box too. 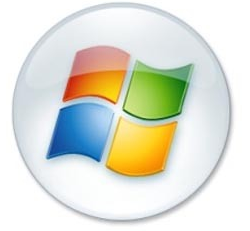 Very nice tutorials and I can say, it is the best illustrated Windows 7 tutorial website. Nice post. These updates were indeed very important for Windows 7. Thanks for the Security info. My Windows 7 has updated now! The best resource for Windows 7 stuffs. Thank you. Thanks for this Win 7 tips. Yes. There is no outgoing link from this domain. Cite this article as: Abhishek Ghosh, "Microsoft Security Bulletin Advance Notification for December 2010," in The Customize Windows, December 10, 2010, April 20, 2019, https://thecustomizewindows.com/2010/12/microsoft-security-bulletin-advance-notification-for-december-2010/.